Debenhams, a UK based department store was opening in Australia for the first time in Melbourne. With the intention of bringing true department store service to Australia, they required a strategy to make this reality. We undertook a thorough investigation of the retail environment in which Debenhams was entering. The result of our Platform and Customer Discovery was fundamental to our next step; build an experience that allows the brand to capture and engage their customers. A full customer experience platform was implemented for Debenhams to service their known customers. In doing so, they were empowered to deliver on their commitment of exceptional personalised service from day one. During our Discovery phases, we were quick to discover our major challenge. Deliver a solution, without developing an ecommerce site, that would allow full customer service integration between the department store and its known customers. The solution needed to deliver a personalised and integrated customer experience in line with the brand’s promise of old fashioned department store customer service. In this case, we not only needed to design a tech ecosystem and application to act as a vessel for the experiences, but also an offering that would easily provide services and effective incentives to create interaction and engagement. 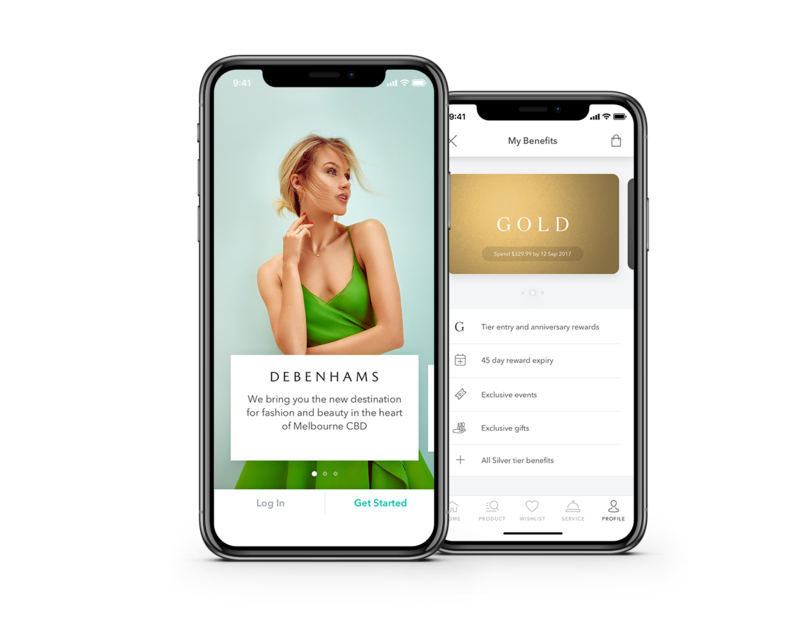 The Debenhams customer app and in store experience program integrates to offer customers an easy and beneficial way of engaging with the department store. 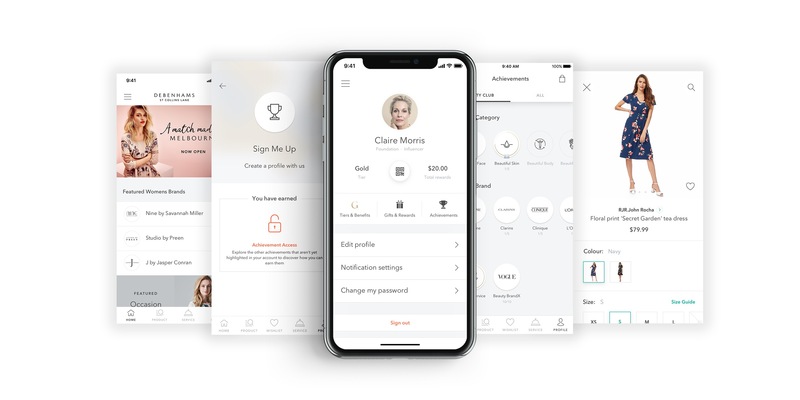 We aimed to provide an experience not seen before in the Australian retail market, using the CX and App Management platform, Omneo. The Debenhams App allows registered customers to manage their entire experience with the department store. From selecting their preferred method and type of communications across email, sms and notifications, through to beauty, style and size preferences. A complete history of all interactions and purchases are at their fingertips along with access to all their current rewards, gifts, perks and achievements. Customers using the app can browse and save the brands, styles, sizes and products they love and share these with the in store team for quick and convenient service. Shopping history is saved, including receipts, for ease of returns. Debenhams customers earn reward dollars directly on their account as they shop. No points, no maths, no vouchers, no gift cards, just money that can be used for future purchases and can track their total in the app. Regular shoppers have the opportunity to be recognised as a Gold or Platinum tier customer. These customers enjoy additional rewards, benefits, gifts and access above the generous Silver tier offered to all registered customers. Progress between tiers and the action required to progress to the next level can be tracked via their profile in the app. The truly dedicated customer can also earn a variety of ‘Achievements’ for exploring all the different departments, brands and services Debenhams has to offer. “Leveling up” these achievements will unlock even more rewards and recognition.